Learn the Extended approach Carpal Tunnel decompression surgical technique with step by step instructions on OrthOracle. 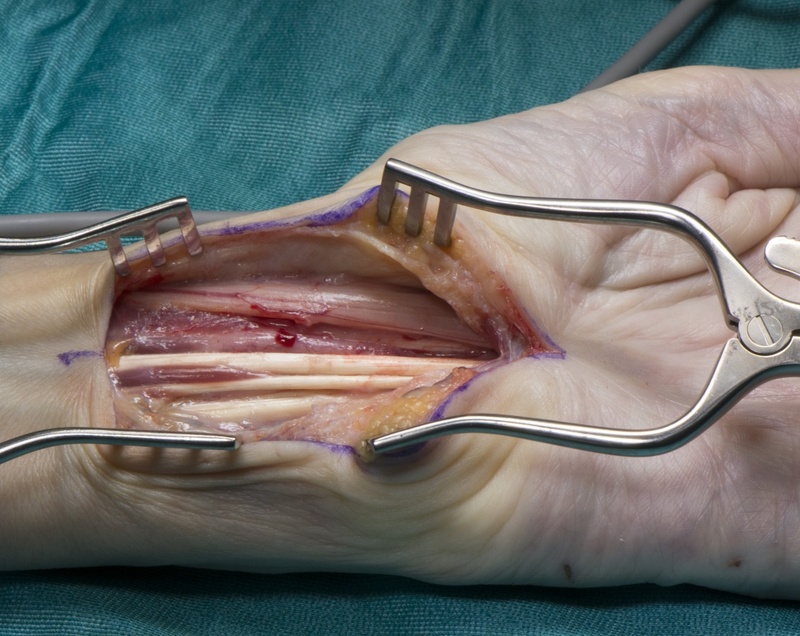 Our e-learning platform contains high resolution images and a certified CME of the Extended approach Carpal Tunnel decompression surgical procedure. In carpal tunnel syndrome the median nerve is compressed as it passes under the flexor retinaculum at the wrist, and for the vast majority of cases, an open decompression performed in the palm allows adequate visualisation and decompression of the median nerve at this level. However, there are instances when there is a suspicion of another pathology involving the median nerve. Flexor tenosynovitis associated with inflammatory arthropathy, suspected nerve tumours and revision surgery for failed previous carpal tunnel surgery are the most common of these. In these instances a more extensile exposure of the nerve is required. Institution : The Queen Elizabeth Hospital , Birmingham ,UK.